The 411 Westmount is not known for many places to eat, let alone have brunch. I think one of the main reasons is that there is really a few small sections that are not residential areas. 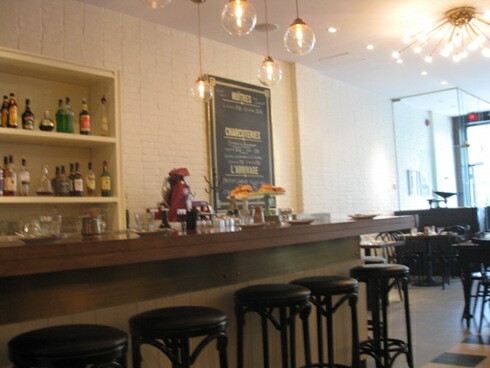 Interestingly, Brasserie Central took over a previous spot we reviewed a while ago so we were familiar with the area. Brasserie Central has a great décor with a large bar along the right side, a terrace in the summer and ample seating throughout. The interior is impressive with a very classy look to it – an idea spot for medium to large size reservations and special events. We had gone on Father’s day and didn’t have a reservation but they were able to seat us before the crowds arrived. 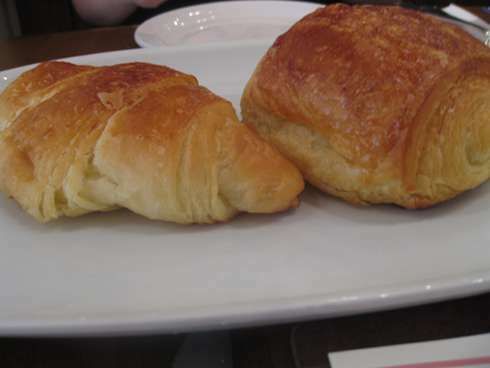 We started off with a croissant and chocolatine ($3). They were a nice way to start up the meal and at a fair price. I often try to avoid small entrées but I did feel it seemed to fit with the ambiance which reminded me of a French brasserie in Paris and having a French pastry is the proper thing to have when in Paris. 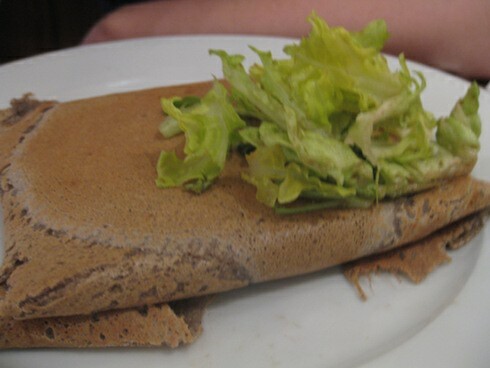 The crepe ratatouille ($12) is a buckwheat crepe stuffed with vegetables and goat cheese. The wonder with this dish is that it is gluten free (on account of the buckwheat) and the goat cheese generally does not adversely affect those with lactose intolerance. This dish is a nice option for those who are intolerant to gluten or lactose and the dish does not compromise taste as well. 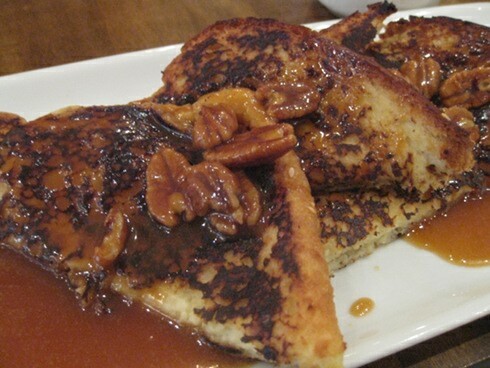 The French toast with caramelized pecans and maple rum sauce ($13) can with thicker bread slices that had an eggier taste. The dish was quite filling and the caramelized pecans were absolutely outstanding. I did not find that the maple rum had a pronounced rum taste but, since I’m not a huge rum fan, this worked out well for me. We had some of the best service ever in the entire city. In the 5 plus years I have been doing this, never has a waiter been so attentive and helpful. Our coffee was always refilled and you didn’t even notice they were there until you realized your coffee and water had been refilled. They were helpful with menu suggestions and checked up on us often. Even the empty plates and sugar packets disappeared without our noticing. Almost half the menu is vegetarian friendly and some dishes are even gluten free thanks to buckwheat pancakes. There are even lactose free goat’s cheese dishes. Braserie Central in Westmount is a nice addition and if you are in the area it’s worth a peak. The décor is lovely and it has a terrace in the summer that makes for some good people watching. For the gluten free veggie friendly brunch consumers, you have a great spot in Westmount that will satisfy your brunch needs.